Time to break the code. Hello Pojo Readers, Crunch$G here with some more information about another new product. 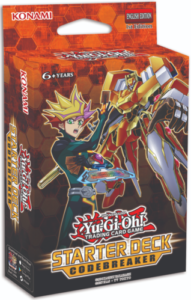 This time around it is on the annual Starter Deck for the year, and the second Starter Deck in the Link Era. Last year’s helped get us started with Link Summoning and this year’s will help expand on what we got last year with new Cyberse cards to help Link Summon and synergize with your Link Plays. There isn’t really much to discuss here, but that doesn’t make this a bad Starter Deck, so let’s see what it has to offer. Though this is a Starter Deck, there are still some reasons for players of the Cyberse deck to pick this product up. 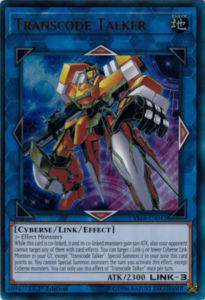 First off is the new Code Talker in this deck, Transcode Talker, who can revive your Link-3 or lower Cyberse monsters and gives it and a Link Monster is is co-linked to some protection from targeting and a little attack boost. We also got a Link-2, Pentestag, that gives your Linked Monsters the piercing effect, which I guess it is a good card for starters, but we got much better Link-2s to play around with. There are two great Cyberse monsters that help fill your board. 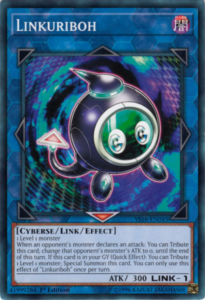 First off is Widget Kid, a monster that lets you summon a Cyberse from the hand when Normal or Special Summoned. The other is Cyberse White Hat, who summons himself from the hand when you control two or more monsters of the same type and it can debuff your opponent’s monsters by 1000 ATK when it is used for Link Material. Both solid cards for a Cyberse themed deck. We got a 2000 ATK Level 4 Normal Cyberse in Leotron, and Textchanger who is sorta like a Decoy Dragon for Cyberse Monsters. 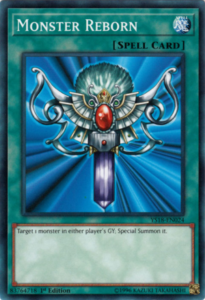 There is also a new Continous Spell that lets you revive a Monster in Defense Postion when a Link Monster is destroyed in Cynet Recovery and a Normal Trap in Cynet Regression that lets you destroy a card and draw a card when you summon a Link Monster. Obviously these new cards are meant for beginners, but some of them are still good enough for play in an actual Cyberse deck. It is worth knowing that literally half of the cards in this deck were in last year’s Starter Deck. Some of them are fine because they are good and simple staples or they are cards that synerigze with Link Summoning without being too advanced, but some are just pointless cause all you can do with them is Normal Summon or Set them and pass and don’t extend plays, but I guess I get it to teach as many possible effects as you can to starting players. Let’s just talk about the good reprints in here. Of course we got some good staple cards like Monster Reborn, Torrential Tribute, Dark Hole, Mystical Space Typhoon, Book of Moon, Call of the Haunted, Mirror Force, Bottomless Trap Hole, and Compulsory Evacuation Device which are all still solid cards though some do have better forms for given situations. There are some solid Cyberse monsters in here reprinted, though none were hard to get. Decode Talker and Link Spider become more accessible now, though I don’t think they were that hard to get. The big reprint in this deck is Linkuriboh, who is now available to players beyond the United States, and is now more budget friendly. If for no other reason, get this deck to get your hands on Linkuriboh. Easily this isn’t the worst Starter Deck ever. Sure there were a ton of repeats from last year’s deck, but some of those repeats were at least good staples, have good synergy with Link Summoning like you’d want to do, or are just helping keep the cards from last year’s deck in circulation. Linkuriboh will likely be the selling point of this product but if you want to play the Cyberse Deck in the future, you might want to grab this as well. Cards like Transcode Talker, Widget Kid, and Cyberse White Hat will be great in that deck. Overall, this is a good Starter Deck for starters and players who are already familiar with the game. Previous articlePersonal Top 10 Cards from Pokemon Black & White!